'The haute season has arrived' - NAPOLEON. 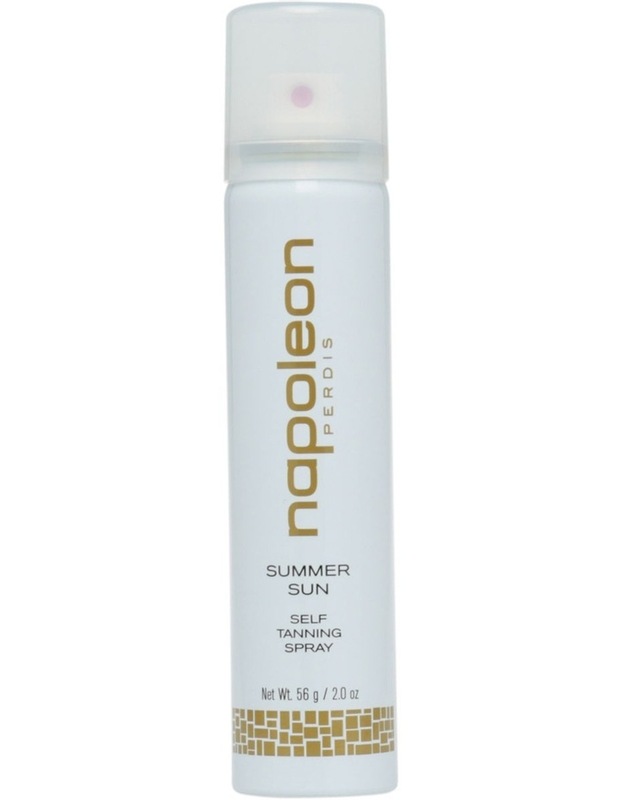 Designed to instantly create a long lasting, rich looking tan. INGREDIENTS: DIMETHYL ETHER, WATER (AQUA), ALCOHOL DENAT., DIHYDROXYACETONE, BUTYLENE GLYCOL, ETHOXYDIGLYCOL, CICHORIUM INTYBUS (CHICORY) ROOT EXTRACT, ERYTHRULOSE, PEG-60 ALMOND GLYCERIDES, GYMNEMA SYLVESTRE LEAF EXTRACT, CARBOMER, ALOE BARBADENSIS (ALOE VERA) LEAF JUICE, JUGLANS NIGRA (BLACK WALNUT) LEAF EXTRACT, FRAGRANCE (PARFUM).